FORESTVILLE, Md. — Winter weather has not hit the D.C. region just yet, but plow drivers are getting ready. 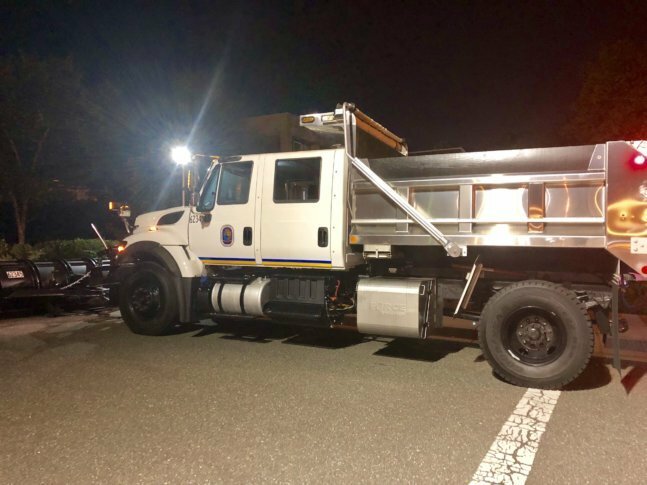 About 140 plow and salt trucks hit the road in Prince George’s County, Maryland, Friday for a dry run exercise in preparation for snow and ice. “We’re checking all our equipment and just making sure when that first snowflake falls that we’re ready to go,” said Courtney Ward, a spokeswoman with the county’s transportation and public works department. The dry run included drivers, safety inspectors, supply monitors and customer service representatives. Their objective was to conduct vehicle safety inspections, evaluate operational procedures and communication systems and also to identify any issues on roadways. More than 400 employees participated. Drivers learned their routes and watched for problems such as potholes.